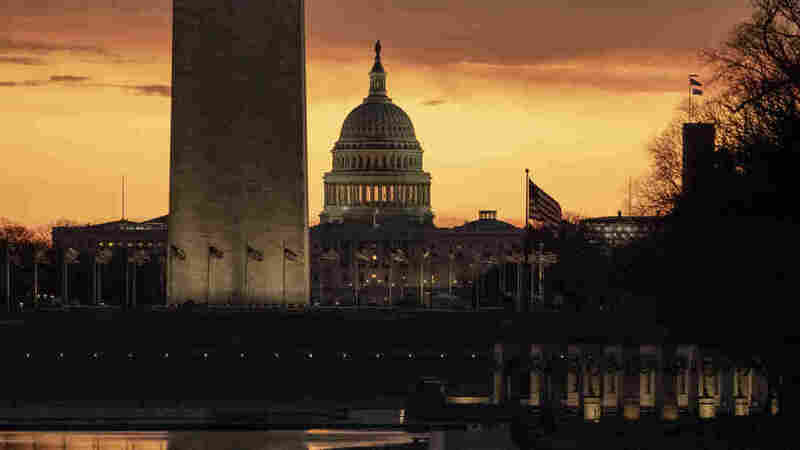 Government Shutdown: Contractors Don't Expect Back Pay, Collect Unemployment One expert estimates millions of contractors in the federal workforce won't receive back pay when the shutdown ends. The Capitol and Washington Monument are seen at dawn on Monday. "They sent e-mails out letting all of us know that work for them that we're furloughed until further notice," says Seymour. What's more, Seymour has little hope of being compensated for all the time he's being furloughed from his $35-an-hour job. 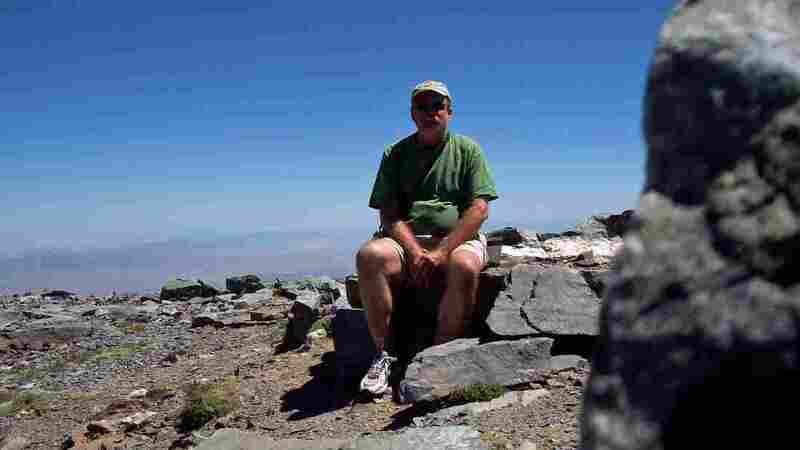 Greg Seymour, a 62-year-old contractor with the National Park Service at Great Basin National Park, has been out of work since Dec. 22. "I know that the federal employees can get that," he says of the back pay that the 800,000 federal workers who've been idled or are working without pay expect once the shutdown ends. "But in this case, since I don't work, I don't get paid. So I'm out of luck." And so are many more of the 4.1 million people who New York University federal workforce expert Paul Light estimates work under federal contracts — estimates because, unlike for federal employees, there is no national database tracking the number of contract employees. "We've got a very large federal workforce with a majority of employees who are not on Uncle Sam's direct payroll," Light tells NPR. "They will not get paid for this unpaid vacation, and I'm not sure how they'll recover if this shutdown continues much longer." The shutdown has already upended Joe Pinnetti's plans for finishing his bachelor's degree in information technology while working days as an IT contractor for the U.S. Fish and Wildlife Service in western Massachusetts. Pinnetti has been unable to perform his $22-an-hour job since the shutdown began. "It's going to be rough — I'm digging deep into my savings right now," says Pinnetti. "The problem is I'm already having to sacrifice things to do so: I might have to take a semester off from school to rebuild my savings." Thanks to the shutdown, Pinnetti has effectively joined the ranks of the unemployed. "Like a lot of contractors, I am collecting unemployment as a way to cushion this," he says. "But, you know, it's not enough to really make ends meet when you consider the cost of living, especially in a state like Massachusetts." The 33-year-old IT specialist expects he'll be able to return to his job as a contract employee once the shutdown ends. But those who work for small firms with federal contracts may well find themselves out of a job. "That's where you would expect to see some pretty significant impacts of even a two-week shutdown," says NYU's Light, "because the smaller the business, the more likely it is to lay off workers at the first sign that there might be a delay in payment." Celeste Voigt knows how that feels. She has a vending concession for selling hot meals at two federal workplaces in South Dakota, both of which have been idled due to the shutdown. "I tell them, go file for unemployment," she says of her four employees. "There's nothing else I can do — I mean, I have zero income. The difference between a government worker and me, even though they're not getting paid right now, they will get paid. I will never make up the money that I don't get. I'm just out." Voigt, who's legally blind, worries her employees may not be coming back if the shutdown continues much longer. "If it takes too long, they're going to look for other jobs. And now I'm going to be stuck with maybe no employees and I have to go back and look for good qualified employees to keep my businesses open. And that's not easy nowadays in this area." President Trump has asserted that federal workers want the shutdown to continue until Congress provides funding to build a wall along the border. For Voigt, that's a non-starter. "I don't know who he's talking to," she says with a laugh. "I think anytime there's a government shutdown, whatever the reason, it's not appropriate. I guess we're holding ourselves hostage, that's how I feel." Voigt also has a message for the lawmakers who will have to pass appropriations bills to reopen the shuttered government offices and provide backpay for federal employees. "I think they should reimburse me as a business so that I can pay my employees," she says. "It isn't that I am not responsible enough to run a business. It's like I'm being punished." IT specialist Pinnetti, for his part, has no expectation that he and other federal contract workers would be made whole for the days of work they've been forced to miss. "When you're a contractor it's understood that there's a certain amount of risk taken with your job," he says, "so I don't think that the federal government will see it as something that they need to compensate us for."